The Media and Marketing Committee of Sydenham Institute of Management Studies present to you the monthly edition of 'MAGMA'. MAGMA is a monthly newsletter containing interviews of top corporate executives, directors, presidents, vice-presidents, general managers and other top senior and middle management corporates. We hope to keep you entertained and enlightened with our efforts. 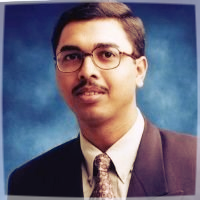 Mr. Ravindra Datar is an alumnus of 1996 batch. He is an expert in Strategic Marketing with more than 19 years of experience in global industry research, advisory, marketing & communications. He is currently the Vice President and Global Marketing Head at Blueocean Market Intelligence, Vice President and Global Marketing Head at Cross-Tab Marketing Services Pvt. Ltd and Member of the Senior Leadership team at BRANDcapita. Q. With almost all major brands adopting digital marketing how does one brand have an edge over others in the digital arena? The edge comes from the ability to analyze the information, capture this information fast enough, filter this information quickly and organize it meaningfully. Making this information available to the right decision makers, at the right time, in the right format creates the edge. If you look at all of this, the differentiation is in speed and time. Companies which are able to do this faster than others will win. Also in the digital world,attention is a prime asset. Whoever is able to grab and retain the attention of the prospective buyer often gets the deal. Q. Recently Snapdeal faced public ire for its endorser’s comments. What should be the strategy of a brand or organization to expunge the tarnished image? Companies have to be both proactive and reactive. Proactive in terms of knowing what channels to be kept a watch on, like social media, just in case. Social media channels can do good or can do tremendous harm too, and at a very fast pace. Reactively, look at what is it that the people are reacting to and if they can they dissociate the brand ambassador’s personal thoughts from their own. Q. Even with the rapid expansion of internet, it still has not penetrated in the rural areas. What measures could be taken to make internet a basic amenity? For a broader reach, we have to break out of the “Computer” mindset and get into the Mobile mindset, especially in the B2C scenario. Mobile applications like WhatsApp or Facebook can be used to create far reaching communication. Q. Big Data has died down, as a hype, in the last year. What according to you is the next big hype? Mobile commerce is the next big thing. Look at TAB BANKING for instance. Banks, insurance companies, automobile companies, CPG (Consumer Packaged Goods) and Retail sectors are moving to tablets and mobile apps. Laptops and computers are only being used in offices where larger processing power is required. But otherwise, tablets and mobile phones are going to be the next big medium for all business exchanges even for the B2C side. The Internet Of Things, Business applications of Social Media are in the hype phase. So those you may need to watch out for, when you look for jobs. It’s Really Very helpful information for me and my friends. I have added my best blog list. All are saying the same thing repeatedly, but in your blog post I had a chance to get individual and some useful information. I love your writing style very much. I really appreciate your blog post. Keep on blogging!! All colleges offer different types of management courses like full time MBA, part time courses and also distance learning MBA courses. It is really a very excellent blog find all of your blogs were amazing and awesome. Thanks for your valuable information. It was nice to read. Thanks for sharing..
Really I enjoy your blog with an effective and useful information. Very nice post with loads of information. Thanks for sharing with us.